CO Ell, CMO Lissan, and XO Vynni. Photo by TrekNews! Read their convention report here. On the evening of Friday, June 20, my partner and XO IXL Captain Vynni vestai-sh’Chavar, new Bajoran crew member and security chief Lance-Corporal Takaar Aramie, and I took crude 21st century public transportation to the pre-convention Unofficial Trekkie Gathering at the Sheraton Boston bar. Thank you to Brian for organizing this event once again. Sitting next to our huge table were a few familiar faces–John Billingsley, Dominic Keating, and Connor Trinneer. Dominic gave up his chair to Vynni when there weren’t enough for our large group! We also saw Walter Koenig walking around the area. Later that night, we joined with CMO IXL Lt. Lissan tai-sh’Zahar, and some Terran friends for dinner. On Saturday morning, Vynni, Aramie, Cadet Lance-Corporal Takaar Iru, also a new recruit, and I ventured into the city again for the start of the convention. 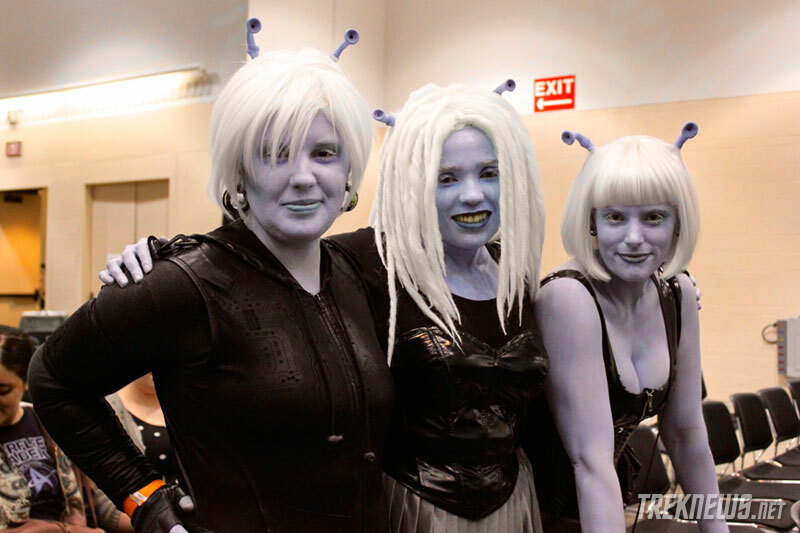 We were not in uniform but spotted several aliens and told them about our ship, KAG, and the IXL. We watched Tim Russ speak, then I sat down with Disruptor Beam CEO Jon Radoff to talk about Star Trek Timelines for Priority One Podcast. Read my interview with him here! We saw Robert O’Reilly and J.G. Hertzler in uniform as Gowron and Martok. They were hilarious, as usual–also, two out of three of the Klingons we saw the whole weekend. Warriors, where are you hiding? After the costume contest, we saw Terry Farrell and Walter Koenig speak and made our way home. On Sunday morning, Lissan met us at home and the three of us suited up for the day. 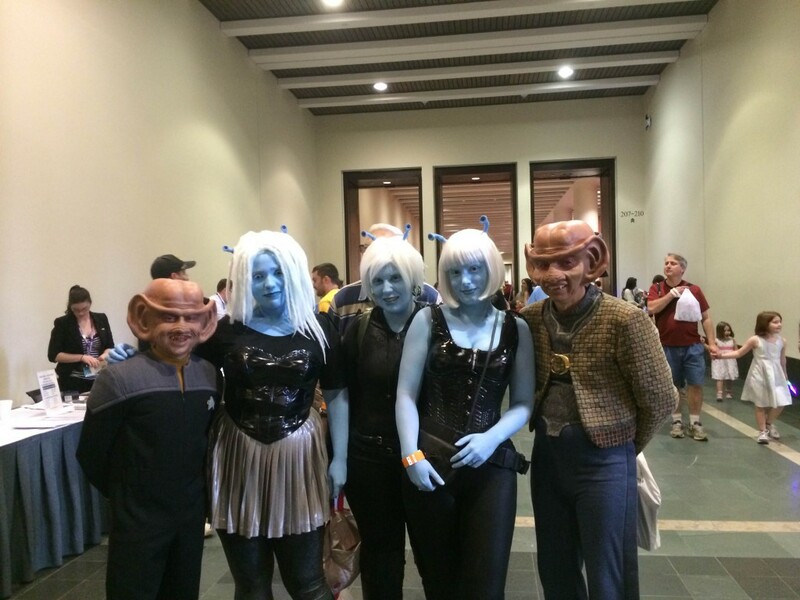 Aramie and Iru arrived and we all took the shuttle–while I drove in full uniform–into town once again, just in time to see Max Grodénchik and Aron Eisenberg on stage as Rom and Nog. After their panel, we stopped for some photos outside the auditorium and they joined us for a couple! During this time, we also had a photo taken which appeared on Boston.com! We found some sustenance in the Prudential Center and killed time there until Nana Visitor’s panel later that evening. Avery Books had to cancel on short notice, but it was great to see Nana again. Vynni got the nerve up to ask her a question too! She asked how she was able to so realistically portray the feelings Kira had about the occupation of Bajor. Nana’s answer was that she imagined she really was Kira, and that all these really awful things had happened–to the point where it was stressing her out in her day-to-day life. After seeing Nana, we piled back into the shuttle to head home. Commuting in had made the weekend exhausting, and we all had to return to duty the next morning. Overall, it was a fun event. Unfortunately, Creation will not have a Star Trek convention in Boston or Cherry Hill next year in preparation of their 50th anniversary events in 2016. 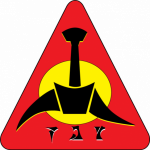 After the convention, many of us, mainly on Twitter, discussed forming a group for Trek fans in the area to keep in touch and organize our own events. Thus, NEST was born; its ranks have already grown quickly. Thanks to Erica for putting it together. I am excited about the possibilities of recruiting new members to the Korelath and working with (I mean against–against!) other organizations to have a more cohesive Trek fan presence in the New England sector. Embracing conquest is most illogical, but your report is agreeable. 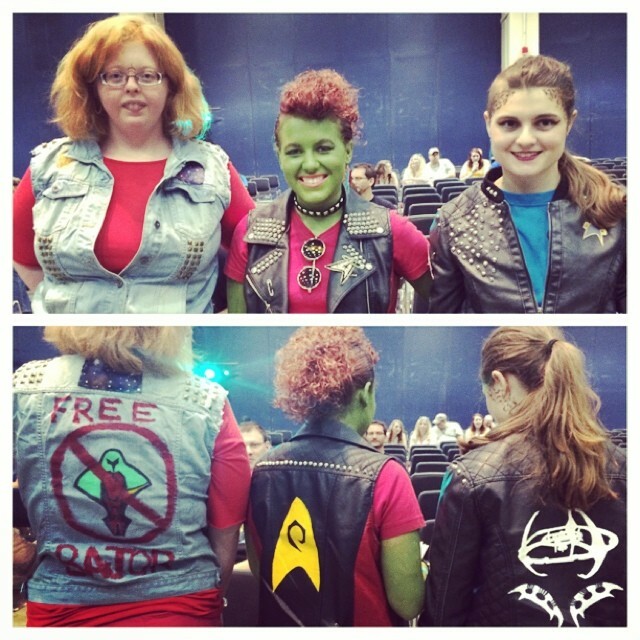 «News: Trek Boston Coming Up!